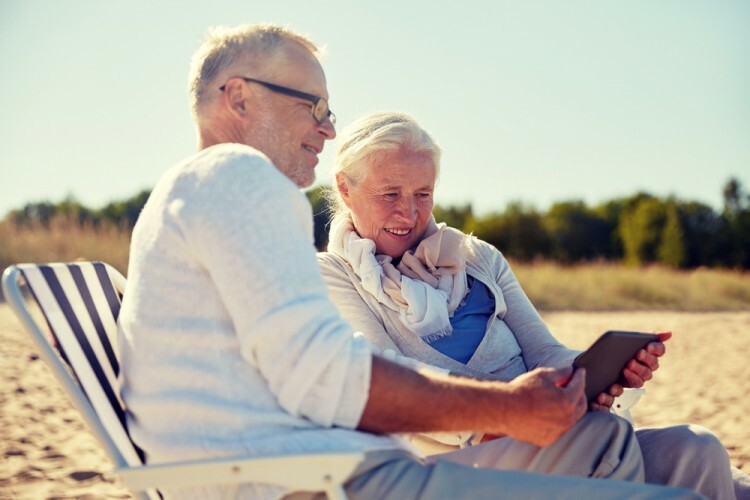 If you’ve been looking for best vacations for senior citizens and vacations with little walking, look no further, because here are 10 best vacations for senior citizens with limited mobility! Perhaps being this excited baffles you a little bit, but just think. Isn’t this the best time of your life? Admittedly, you’re not the old vivacious self, nor are you in your twenties and ready to take over the world, but isn’t it true that you’re feeling much more at ease now? In the early twenties or thirties, you are as energetic as can be, but you must admit you were a little bit anxious about your future. Those are the years when you define yourself, your priorities and try to get a good job and secure your future. Oh, and remember all that stress about buying the property? All the redecorating that followed, and all the mortgages? How about those sleepless nights (if you had children)? Don’t you miss all that? Of course not. Now is the time when your children are quite good on their own, and you have escaped the 9 to 5 daily grind. Not to mention all those traffic jams in the morning. And late afternoon. As you can see, you’re having the time of your life right now! However, nothing is perfect, so your body may not be able to match all your travel desires. Being retired implies having a lot of free time, which is great considering that now you are interested mostly in limited mobility travel. Walking isn’t as easy as it used to be, and it takes a lot more time now to get from point A to point B. Being a senior often implies redefining yourself and your priorities. Instead of just “best vacations”, you probably google something like “vacations for seniors with mobility issues”, while your children look for “vacations for elderly parents” when you all wish to go on a family holiday together. If you’re American, you have already read our article on best places to visit in USA for seniors. The reality is a bit harsh, but that doesn’t mean you can’t still enjoy it! After reading our list of best vacations for senior citizens, we assure you everyone is going to be envious of the places that are actually highly recommendable for your state because they are simply incredible. In order to explore all the options for vacations with limited walking, we checked the suggestions from aPlaceforMum, HomeAway, TheStreet, Healthy Voyager and Safe Step Tubs. The places which were most prominent in the lists were our favorites, and they came higher on our list of best vacations for senior citizens with limited mobility. If the number of occurrences was the same, the vacations were ranked according to how versatile they are, i.e., how many activities they offer in that place. Last but not the least, if some suggestions didn’t match, we analyzed them according to the disabled senior facilities. If a place is very well adjusted to the disabled seniors, it was ranked higher. Bear in mind you don’t always have to use the wheelchair if you have trouble walking. How about a scooter instead? They’re much smaller and easier to carry around when you don’t always need them. Find the one most convenient to your needs in our article on easiest and smallest folding mobility scooters for handicapped. Now let’s take a look at our choice of best vacations for senior citizens with limited mobility. You’ll be surprised to see that most of the suggestions are very appealing to all generations.